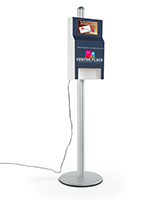 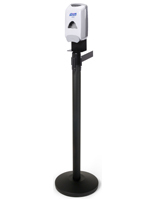 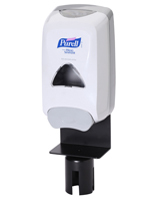 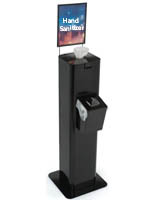 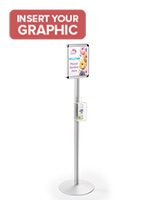 A hand sanitizer wall dispenser is a great space saver in restaurants, public bathrooms, office buildings and more. 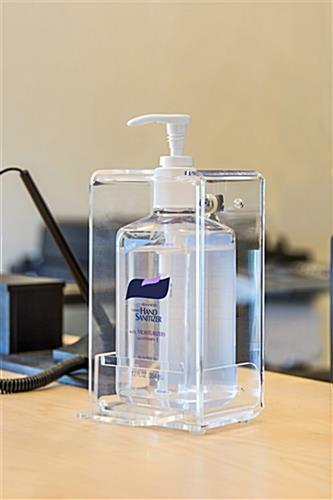 This casing locks with one bolt to prevent soap bottle from being taken. 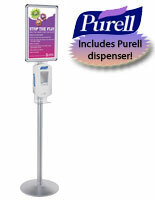 The multi-sized bottle wall dispenser can hold bottles as small as 8 oz. 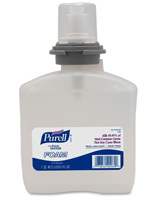 to as large as 12 oz. 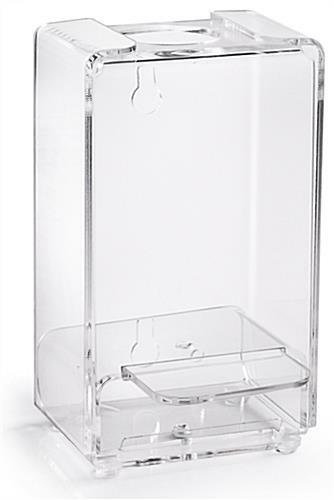 with its height adjustable acrylic design. 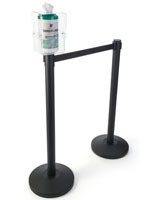 To refill or replace the bottle is as simple as unscrewing a short bolt on the bottom. 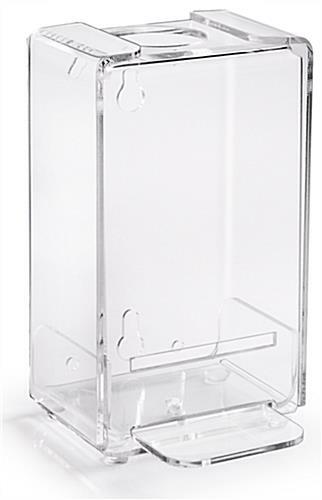 This wall dispenser is a great space saver for rooms with limited space and easy to mount design. 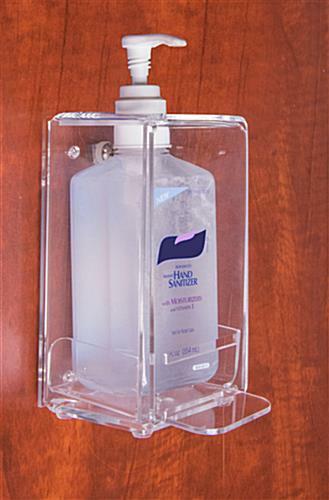 This simple refill soap holder distributor comes with all required hardware for assembly. 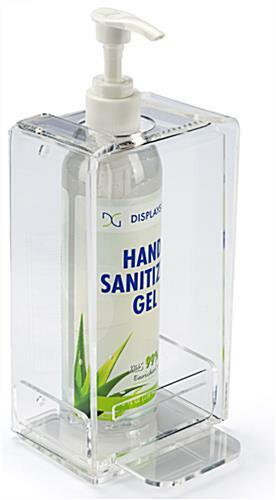 Please note: Hand sanitizer not included with purchase. 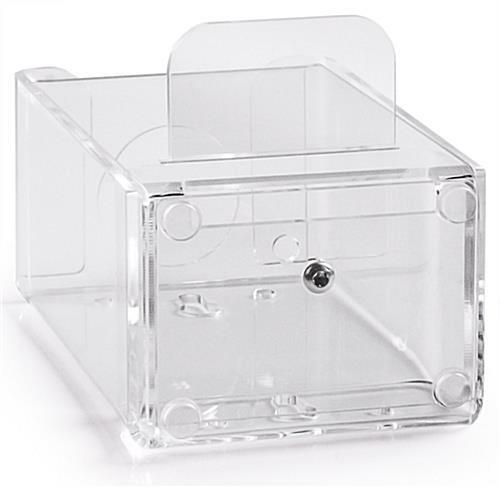 3.6" x 6.4" x 2.8"